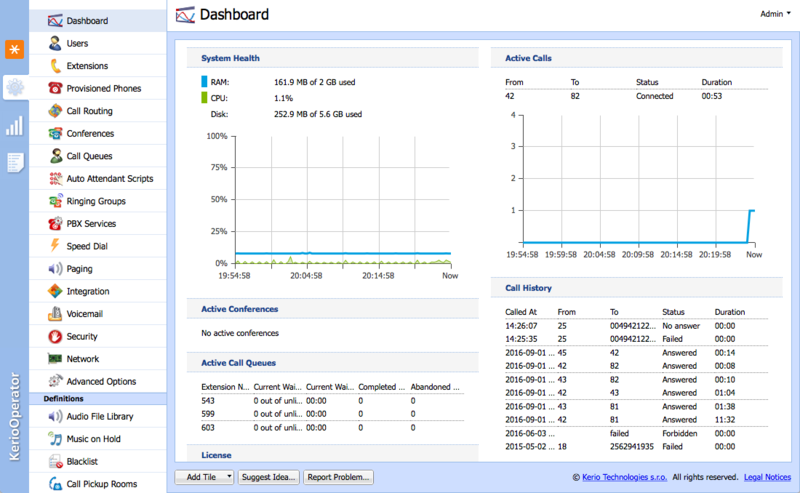 Kerio Operator Softphone lets you place and receive voice and video calls, listen to voicemail, set up call forwarding, and check call history — anytime, anywhere using only your computer. 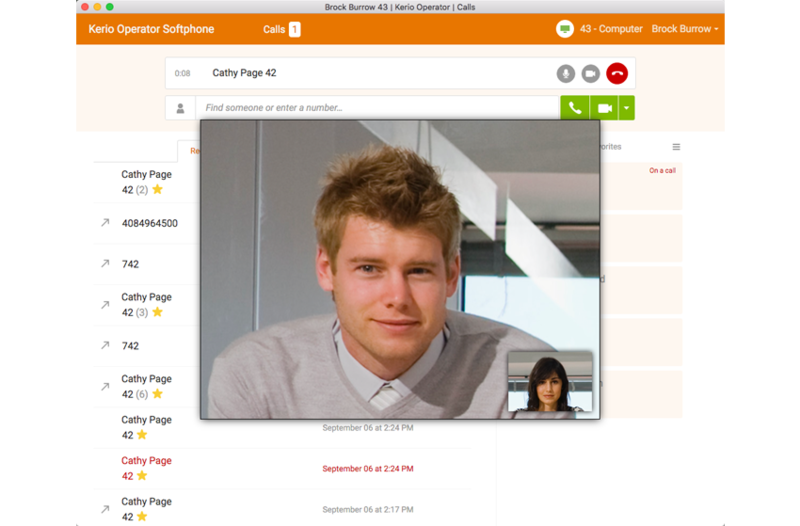 Create a conference call on the fly, manage calls using the Kerio Operator app for Salesforce, or set up flexible forwarding rules to make sure you never miss a call. Deploy, configure and administer Kerio Operator in a flash through an easy-to-use web administration interface. Stay in control of all your Kerio Operator appliances through Kerio’s centralized web interface — MyKerio. Kerio Operator makes financial sense. 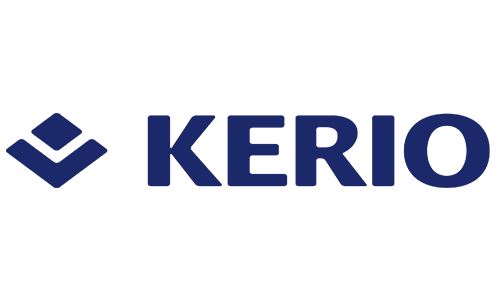 Walk away from your traditional phone service, expensive PBX and specialized phone technician — and embrace Kerio Operator. Kerio Operator works comfortably in your existing IT environment — whatever your needs. Choose the approach that best fits with your existing IT processes, infrastructure and organization. No matter what option you use, Kerio Operator offers the same great end-user experience, rigorous security, and ease of administration. Deploy as a software appliance, a virtual machine, or a performance-optimized hardware appliance. Don’t want to manage your own server? Choose hassle free Kerio Cloud.